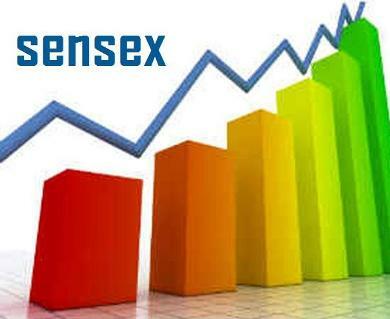 Mumbai: Continuing its winning spree for the seventh straight day, the benchmark BSE Sensex rose 36 points in early trade on Wednesday as healthcare, IT, infrastructure and consumer durable sector stocks led the rally on the back of sustained capital inflows. The BSE 30-share barometer rose 36.00 points, or 0.14 percent, to trade at 26,456.67. The gauge had gained over 1,090 points in the previous six sessions. The NSE Nifty also maintained its rising trend and moved up further by 6.50 points, or 0.08 percent, to trade at 7,904.00. Besides widespread buying by funds and retail investors on encouraging Q1 earnings by bluechip companies and hopes that the government will take more steps to boost the economy, easing global crude oil prices buoyed trading sentiments here, stock brokers said. However, a weak trend at other Asian bourses restricted the gains at the domestic markets, they said. Among other Asian markets, Japan's Nikkei shed 0.05 percent, while Hong Kong's Hang Seng was down 0.14 percent in early trade today.